JUNE 2018; BROOKLYN, NY: Last year, Strange Weather studio installed a 32 channel Legacy AXS at its Brooklyn facility. 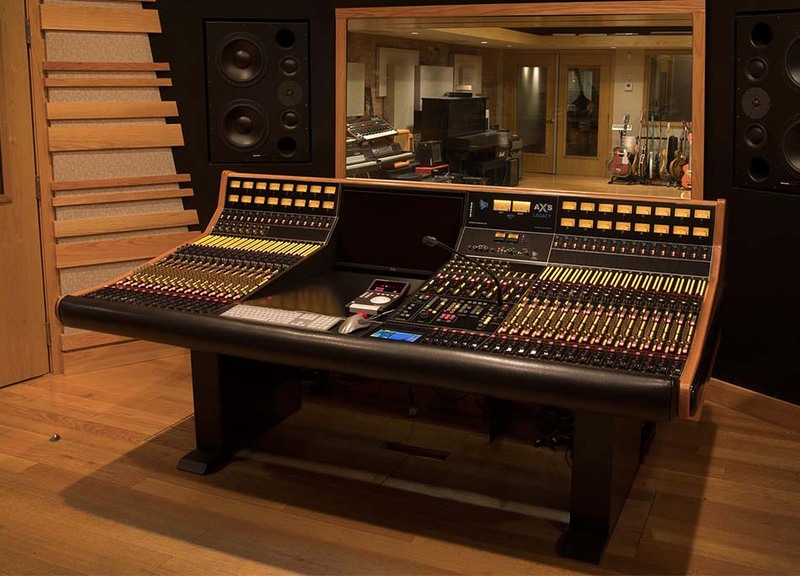 The studio had been home to a 1608 console since 2007, with expansions added over the years, but Producer/Engineer and studio owner Marc Alan Goodman was ready for a console upgrade. "We made hundreds of amazing records on the 1608 for over a decade," said Goodman. "But eventually we found ourselves wanting even more routing options, so we decided to upgrade to the new Legacy AXS." In the year since Strange Weather has installed the AXS console, the studio has been heavily booked, with Producer/Mixer and Goodman's business partner Daniel Schlett commenting that the console has drawn new engineers, producers and artists to the studio. Schlett notes that the albums he and Goodman have worked on have been extremely diverse, and adds, "The fact that the AXS was always able to deliver what we needed and keep up with the quick pace of the sessions was super helpful." Strange Weather recently tracked and mixed albums for Steve Gunn, Kassa Overall and Big Yuki, to name a few. The studio also has a few projects in the pipeline for this summer with Curtis Harding, Sly 5th Ave, and Melanie Charles, among others. "The console has absolutely improved the workflow of our studio," says Schlett. "The new console's available routing features allow for all types of situations to move more efficiently. In both recording and mixing sessions, we've found the console to work in a number of ways to make all tasks to move easily and quickly." "There are almost too many exciting features to list," Schlett adds. "We love the automated bus matrix section, the built in 2500, all of the available auxes, and, at the end of the day, the reliability and sound!"